Shampoos, Washes, Foaming Bath Products, Lotions, Washes, Lotion Bars. Oil Based Scrubs. Approved for Lips. Recommended usage rates are provided only as a guideline for proper preservation. All new formulations should be challenge tested to ensure preservative efficacy. The correct use concentration depends upon several factors including the chemical and physical nature of the product, its ability to support microbial growth and the likelihood of recontamination during use. Experience has shown that Phenonip ® will preserve cosmetics and toiletries when incorporated at concentrations from 0.25% to 1.0%. The higher concentrations are generally required only for formulations which, by their nature, are particularly difficult to preserve. Shampoos and foam baths may be preserved with Phenonip ® at concentrations typically between 0.25 - 0.65%. Products with a high protein content may require levels from 0.5% - 1.0%. Other surfactant-based products, for example liquid dishwashing detergents, are generally preserved with Phenonip ® over the range 0.2% - 0.6%. Emulsified systems, both o/w and w/o types, may be effectively preserved by the addition of Phenonip ® at 0.4 - 0.7%. Phenonip ® can also be used to preserve emulsions based on nonionic surfactants, but slightly increased concentrations may be required, eg. 0.5 - 1.0%. Use Phenonip ® at 1% in the presence of 5% polysorbate 80. TIPS: Performs best when formulation pH is 3.0-8.0. Inactivated by Polysorbate 20, Polysorbate 80, and ceteareth-20. The recommended usage rates are provided only as a guideline to provide proper preservation. All new formulations should be tested to ensure preservative efficacy. Protect clothing and work area when mixing. COMMENTS: This preservative has no scent and no discoloration issues. It's a good price and gives me peace of mind to not have to worry about bacteria, mold, or fungus growing in my scrubs and lotion bars. I recommend this to everyone to keep their products safe. COMMENTS: When I decided to add sugar scrubs to my product line, I knew it would need a preservative. I researched and decided on Phenonip. It is easy to use and has been a great preservative. I would highly recommend it. COMMENTS: I use phenonip in my lotions and scrubs, much easier to work with than optiphen and others I've tried in the past.No smell, and it's not a thick viscous liquid. Plus you can't beat the price! "SO happy to have this!" COMMENTS: I'm very happy to have access to smaller amounts of things to try out (thanks, WSP!). I know this is lab-proven to work, even if I can't see it myself. I could try adding water to a product and let it sit for a year... but I'm choosing to trust the science here! COMMENTS: This is the only preservate I use in my scrubs. We love it. COMMENTS: I have been using this for my lotions and body sprays for over a year now with no issues. COMMENTS: This preservative is colorless and odorless. It is undetectable in the final product. "Works great in sugar scrub"
COMMENTS: I was new to making sugar scrub and did a lot of research regarding preservative usage to avoid mold and bacteria growth. Phenophip ended up being the best choice both for price and dependability. We've had a lot of great feedback regarding our scrub but not one complaint about mold growth. This stuff works! "Best behaving preservative for me"
COMMENTS: I use this in lotions that I make. Never once has it changed the structure of my lotion. I always know my product will preform like I'm expecting when I'm using this. I also use it in a serum that I make, again, knowing that it will do just what I"m expecting. 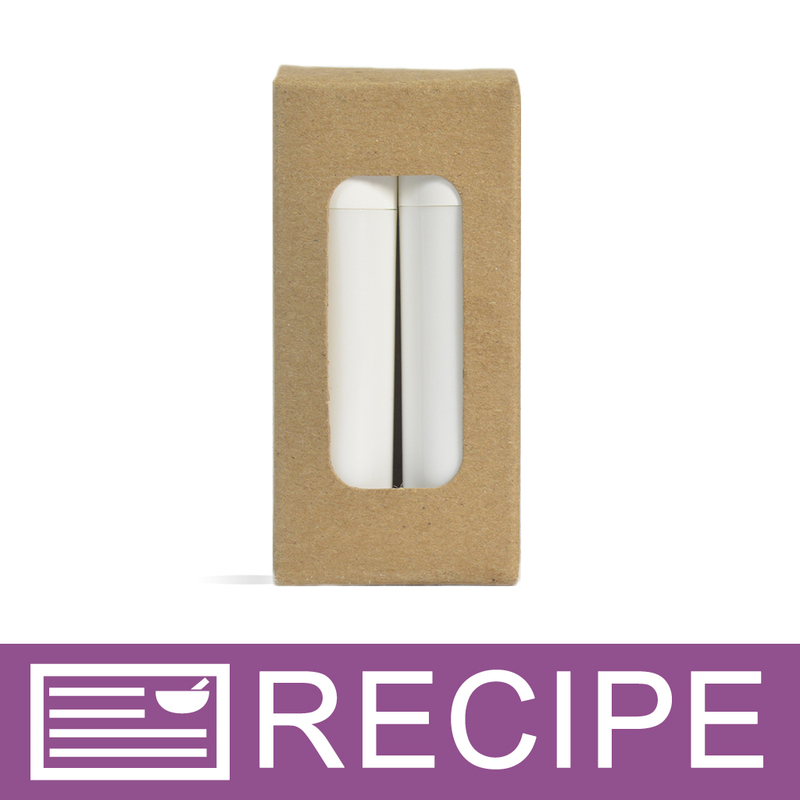 "Does exactly what its supposed to "
COMMENTS: I have used this is sugar scrubs and it works great... doesn't affect my recipe and doesn't have a scent. COMMENTS: Works great in scrubs!! COMMENTS: Great for my sugar and salt scrubs. Gives me peace of mind to know customers are protected from bad growth in the products.
" Does it's job "
COMMENTS: This mixes in amazingly with my whipped scrubs! There is no smell to it and my whipped scrubs stay firm. Perfect for my usage. Will be buying again. COMMENTS: By far my favorite preservative to use!! COMMENTS: My go to preservative for my products. COMMENTS: love that it helps with antibacterial. plan on working it into more products as I grow. COMMENTS: I bought this as an all around preservative. It works very well. I will reorder. COMMENTS: Love this preservative, fool proof. "The Only One I'll Use"
COMMENTS: I use this for my goat milk lotions and love how well it works. There is almost no scent which is great for my unscented lotions. COMMENTS: Excellent product. It is more heat resistant than other preservatives, which is important when making creams and body butters from scratch. COMMENTS: perfect for my sugar scrubs - thank you ! COMMENTS: Used in salt scrubs. Worked great. Product held up nicely. Reliable preservative. Comfortable using. COMMENTS: I just Phenonip for oil based products that may have water introduced to them during use. It is perfect for oil based sugar scrubs!! COMMENTS: Just what you need for those scrubs. COMMENTS: I have never had a problem using this. Will be back to order more. "Works great in Goat milk lotion"
COMMENTS: This is the only preservative that I trust to use in my goat milk lotion, I make my lotion with my own farm goat milk and due to milk being in the product it takes a good preservative to keep it fresh and good. This one works.. COMMENTS: Good product. No issues. "Wow! Does what it says!" COMMENTS: For any bath/shower product you make, you need this. It keeps things from growing in your products. I love this in sugar scrubs. It keeps them clean and fresh. As bacteria can grow before you see it, it's nice knowing that my products are protected. This is a great product! COMMENTS: This has been my lifesaver. I made mostly scrubs and lotions and was looking for the best preservative to use for both. So far none compare to this one for being able to accommodate me. • Great that it is so versatile. 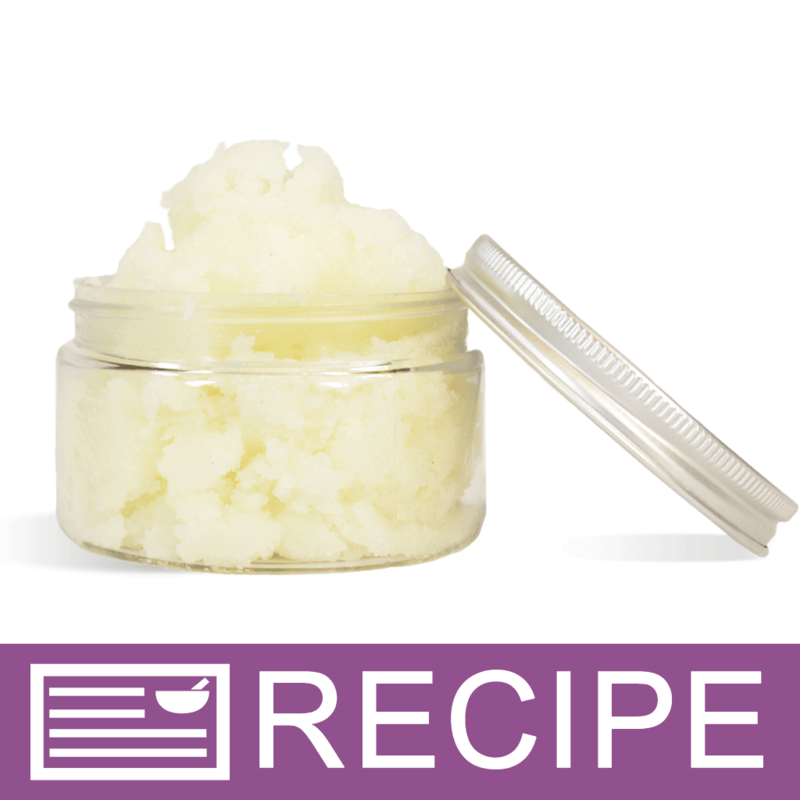 COMMENTS: Keep my Sugar Scrubs for longer time, no more worry of the moisture from the hands!! "used this in my sugar scrub"
COMMENTS: This product works great in scrubs, easy to use. COMMENTS: After researching this product I decided to purchase it from WSP. So glad I did. It works as it should! COMMENTS: This is the first time I have tried phenonip and it works perfectly in my lotions. My creations are perfectly protected from all kinds of baddies! COMMENTS: I AM SO GLAD THAT I DID MY RESEARCH AND BOUGHT THIS PRODUCT. THAT WAY I FEEL BETTER ABOUT SELLING PRODUCTS. WHO WANTS MOLD OR BACTERIA GROWING IN THEIR JARS IN THE SHOWER?? I SURE DONT! THIS IS A MUST IF YOU ARE MAKING SHOWER PRODUCTS. COMMENTS: Very good quality, always works well. "Tammie from Panama City-Review Phenonip"
COMMENTS: Hi, I am doing a review on phenonip and all I have to say is this stuff really really works, of course, it does, I bought it from, WSP ha ha ha!!! :) they have the best products. Guess what, The other day, I was doing some spring cleaning; I found hair conditioner mask that I must have place in this very back of my closet. I knew it had gone bad because it was long since I had made this product, and guess what, it was still good, using this product. Of course, I will be buying more of this and I am going to buy a larger bottle. COMMENTS: Don't really know what's in it, but my 4 month old sugar scrubs are as fresh as day one! COMMENTS: Great preservative. I've had no problems at all. It's easy to use and doesn't seem to leave any scent behind in my scrubs. COMMENTS: This product worked really well. It keeps all the icky-ness out of my lotions and lotion bars! COMMENTS: This (or some type of preservative) is needed when making products that may come in contact with water i.e. sugar scrubs, lotions, creams. It's not very expensive, and it gives me peace of mind. Another great product from WSP. COMMENTS: Very satisfied with this product. Will purchase again. COMMENTS: I am not sure how this works, but I can say I have never had a problem with any product I have used this in and that is a good thing! "This is one of the unsung heros." COMMENTS: Blends beautifully in products that I have made, undetected with the exception of a longer shelf life. Works particularly well where the product will be around a lot of moisture. • With exception of no bacterial growth. "LOVE this for my goat's milk lotion!" COMMENTS: Phenonip works perfectly for goat's milk based lotions and my customers (even those with severe sensitivities) have no problem with this preservative! "Should always have on hand"
COMMENTS: Great for use in my bath and body line. It does not change the color. COMMENTS: I received it right on time, and used it right away. This is a great product that I would encourage anyone to purchase. COMMENTS: I use this in my goat milk lotion and it performs beautifully. No scent or discoloration, and never had my product grow any mold! I always keep this on hand. COMMENTS: I use this in the majority of my lotions and creams and have never had a problem with mold or bacterial growth. No complaints of allergic reactions. A good product. COMMENTS: Excellent product and not pricey. COMMENTS: Great all around preservative to have on hand. I use this in sugar scrubs and lotions without any problems. Works out great every time. COMMENTS: This works great in my emulsified salt scrubs! COMMENTS: I use this in my sugar scrubs and so far have had no yuck grow. COMMENTS: I use this in my lotions, body butters or anything with water content. It hasn't let me down. COMMENTS: I use this in all my oil based products to keep them from molding since everything I make is from scratch. No melt and pours or lotion bases here. My stuff is the real thing and can go bad without a preservative. I don't use very much since it only needs 1% of the total product. It doesn't change the consistency, color, or smell of any of my products and I haven't had any issues thus far. COMMENTS: It's probably just me, I'm not exactly tidy, but I only need a very small amount of this item for the sized batches of lotion I'm making at this time and when I tried pouring the liquid from the bottle it got pretty messy. I think it would be nice to include that information somewhere so people have a heads up when they order it. I took what I had and put it in an amber glass bottle with a dropper and that makes it pretty much perfect to use. I'm assuming it's doing a good job since none of my lotions have mold. COMMENTS: I use this for preserving my sugar scrubs and I've never had any issues. Works great! COMMENTS: Used this in a coffee face mask. Didn't have any issues with it. It's clear and blended with my ingredients nicely. COMMENTS: Works great in my sugar scrubs! No powerful scent! "A must have for scrubs"
COMMENTS: This is a must have for scrub products. It does not have a strong odor and is easy to work with. It blended in well into my scrubs. I also like that it has a long shelf date. A must have as a preservative. COMMENTS: Love this preservative. Safety first everyone! COMMENTS: This is the only preservative I use in my scrubs. Have tried others and am sticking with Phenonip! COMMENTS: This is the preservative I used in a pumpkin spice scrub. Worked great! Greatly enhanced the shelf life of the scrub. COMMENTS: So far so good! I use this in my whipped sugar scrubs due to how much sugar I add to the base along with the fact that the product will most likely be used in the shower. I haven't had any issues with this preservative and a little goes a long way. I only use this one at 1% as to prevent irritation issues. COMMENTS: I use this in my body scrubs as an extra measure to prevent bacteria growth. Works great! COMMENTS: Use this in alot of products, and it is easy to use and does its job. COMMENTS: Very easy to use in my prodcuts and prevents mold from growing. Perfect for Sugar Scrubs I keep in the shower at all times. COMMENTS: Works well so far! I have products that have sat for 6 months + and still no signs of anything nasty. I've also tested using this in sugar scrubs I've used in the shower, splashed water in and still no growth of mold or bacteria, so I'm giving it a thumbs up! COMMENTS: the product is good. i used it for making sugar scrubs. COMMENTS: This is a clear, odor free product that I used in my scrubs. I wouldn't make my scrubs without this product. COMMENTS: Haven't had a problem with spoilage yet. Just wish it was paraben-free.. COMMENTS: Great preservative for recipes that include milk! Love it! COMMENTS: I have used this in cp soap and I like it. COMMENTS: Does what it is says. Nice to have a preservative that can be used in many things. COMMENTS: I like this as a preservative in sugar scrubs. COMMENTS: I use this item mainly in sugar scrubs,and salt scrubs. And it works wonderfully! Though I make single use solid salt scrubs you can never be too careful. This item lets me sleep with peace of mind. COMMENTS: Works great in my lotions and does it's job - no mold issues! Thank you WSP for another great product! COMMENTS: I enjoyed that it mixed well with my base. "works great for oil based products"
COMMENTS: I use this in sugar scrubs and it works great. COMMENTS: THIS IS MY MAIN PRESERVATIVE FOR ALL MY LOTIONS , CREAMS AND BUTTER. I HAVEN'T HAD NO ISSUES WITH ANY MOLD GROWING. GREAT STUFF WILL ORDER MORE. COMMENTS: This works as I thought it should. No nasties growing and easy to use. "works like it says it does!" COMMENTS: I use this as one of my main preservatives. I have never had any issues! COMMENTS: We've been using Phenonip from Wholesale Soap Supplies for quite some time and find it to be perfect for our applications. I would definitely recommend it for your products. COMMENTS: I've been using Phenonip for all my salt scrubs for some time now. It always works and have never had any customers complain about any "nasty yuckies" growing in their scrubs. As always, WSP offers the best price around. COMMENTS: Protects against possible bacterial growth and keeps my products nice and fresh. COMMENTS: I use this Phenonip in my Goat Milk Lotion products. My lotions are so thick & creamy it is like rubbing pure silk into your skin. This product extends the shelf life giving me more time to work on other products for my line. My customers can't get enough. It is also very competitively priced making my profits soar! I highly recommend it for any lotion makers. COMMENTS: i haven't had any issues with this product at all. I use it in the emulsifying sugar scrub and there is no scent and none of my scrubs have gone bad. I do wish it was paraben free though. COMMENTS: This preservative is a great price, and it works like magic. My lotion has a little sunlight on it where I store it and nothing bad has happened! I am totally happy with this product! COMMENTS: i use this for a preservative in my goat's milk lotion. It works great and I haven't had any issues with the lotion going bad. I will continue to use this product in my lotions. COMMENTS: I have tried other preservatives with very disappointing results. I have been using this phenonip for several months now with absolutely no molding issues in my lotions. Wouldn't make lotions without it. "A little goes along way. " "the best preservative bar none"
COMMENTS: Off all of the preservatives i've used this one has never let me down. I've never had a batch of lotion go moldy on me yet with this preservative and have never had a customer complain yet about irritation or bad reactions. Please dont stop selling this one. I couldnt live without it! "I like the performance of this product"
COMMENTS: I have had great luck with this product and would recommend it's usage. 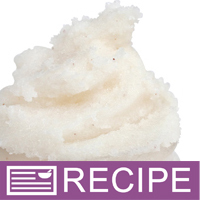 "Hello, I want to make a simple sugar scrub but can't figure out how much Phenonip to use. My recipe is: 1 cup sugar, 1/4 grapeseed oil, FO (usage depends on fragrance, usually around 1/2 Tablespoon). Can you help me figure it out? Also, would it be the same amount for salt scrubs? Thanks!" Staff Answer It is best to figure the weight of the recipe to know how much to add. If you are making 8 oz. of product, the usage rate is .25-1.0%. This would mean you can add between .02-.08 oz. to your recipe. You might round this out to .10 oz. to make it easier to weigh. "Nevermind my earlier question. I found what I was looking for. I have started using soft and silky emulsifying wax that you sell. It contains one of the deactivated for phenonip. This has been the only preservative I've used. What is a good replacement, that won't be deactivated easily?" Staff Answer The ones we use the most are Preservative-Sorbic Acid-2 PF, Preservative-Water Soluble and Preservative-Water Soluble PF. "Preservative - Phenonip When making sugar scrub with oils (coconut and almond) and I leave out the preservative...... How long will it last before bacteria sets in? " Staff Answer Typical shelf life is 1-2 assuming good manufacturing practices and accurate preservation. "How much do I use for a 16 ounce batch of sugar scrub? With coconut oil, Almond oil and Vita E?" Staff Answer This is not a simple answer because it depends on other ingredients such as poly 80. Our directions tab for this ingredient is quite extensive and will give you the best information. "Under additional information, it states phenonip is safe for lips. Under directions and ingredients, it states phenonip is not safe for lips. Which is it?" Staff Answer We have corrected the information for this product. Phenonip is safe for use in lip products. Thank you for bringing this to our attention. "Preservative - Phenonip Whats the different between Phenonip and Germall Plus? I make sugar and salt scrubs with coconut oil. " Staff Answer Phenonip is insoluble in water and Germall Plus is good for water based formulas. If making a scrub with oils and butters only, you can technically use either. The reason you want to use a preservative is for any water contamination that may occur when the product is used. "I am making aromatherapy sprays using distilled water, 99% isopropyl alchohol, poly 20 and FO/EO. Can I use Phenonip as a preservative or do you recommend something else?" Staff Answer Phenonip is insoluble in water so it is not recommended for this type of product. We would recommend Preservative-Sorbic Acid + 2 PF (Optiphen Plus) for your recipe. "When adding this preservative to a sugar scrub do I base it off of my oil weight or my total product of oils and sugar?" Staff Answer The preservative should be based off the entire weight of your product. 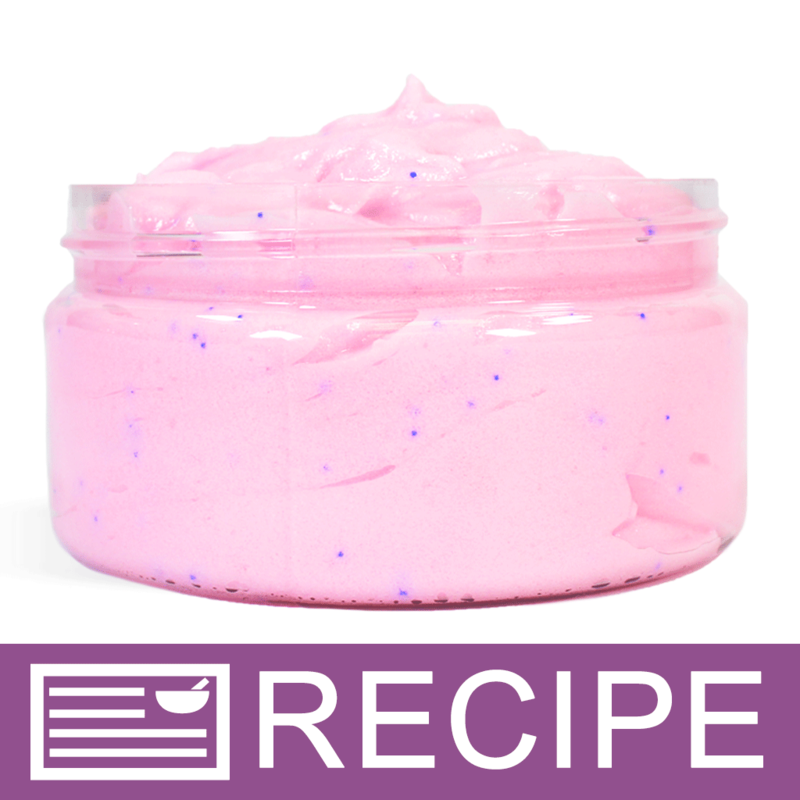 "I plan on making a small batch of whipped body butter. Would this be the correct preservative to use? " Staff Answer The best preservative would be Germaben II E which is for products containing over 25% oils and/or butters. You do want to use an antioxidant such as vitamin E or rosemary oleoresin to help give your oils and butters a longer shelf life. 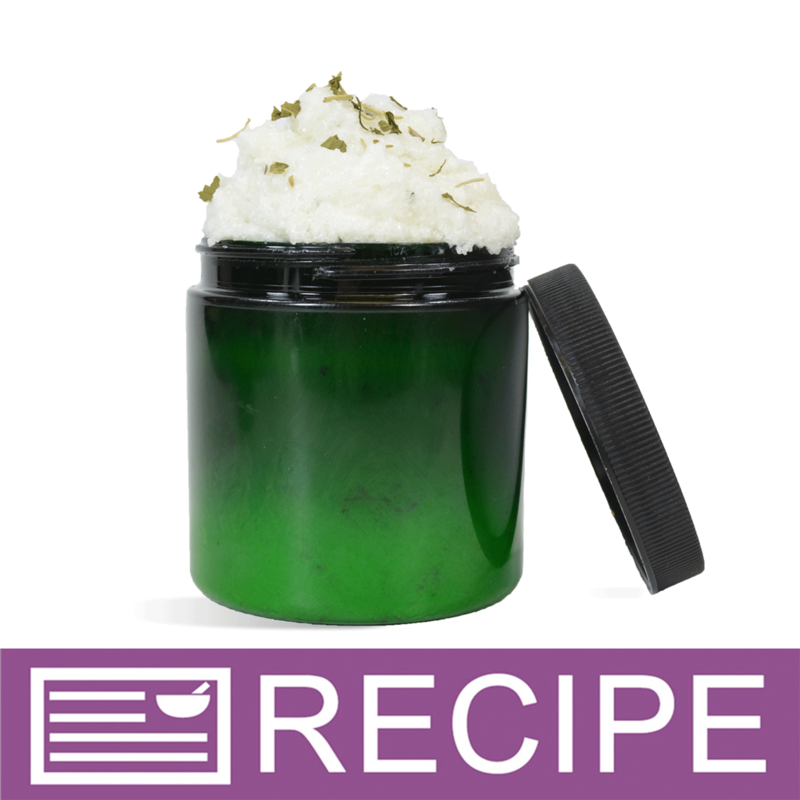 "I am working on a 4oz sugar scrub recipe. How much of this product shall I use? I did a test batch and feel like the Phenonip oder was over powering the scent of my scrub. Does this need to be added before fragrance? Thank You"
Staff Answer Common use levels for lotions, lotion bars and oil based scrubs is 0.25-1%. For a 4 oz. jar, you would add between .3 ml to 1 ml. Preservatives are usually the last ingredient added to your product. "Does Phenonip contain parabens? If so, what other preservative can I use for a sugar scrub that is oil based? Thank you." Staff Answer Yes, this preservative does contain parabens. You can find the ingredients listed under Additional Details. You can use Germall Plus which does not contain parabens. "Do you know how many mL there are in the 1 lb bottle? I'm trying to determine cost per mL and cannot find the answer. Thank you!" Staff Answer There are 30 mls in 1 ounce so a 16 ounce bottle would contain 480 mls. "Hi I've been searching and searching and I cannot find an answer to how long does phenonip extend the shelf life once it's in a product. I know you take the ingredient with the shortest shelf life and go by that, but after you add preservative, how much longer will it last?" Staff Answer Depending on the ingredients in the recipe, your product should be good for at least one year. If there is no water contact and you have added an antioxidant, such as Vitamin E, your product should last one-two years. 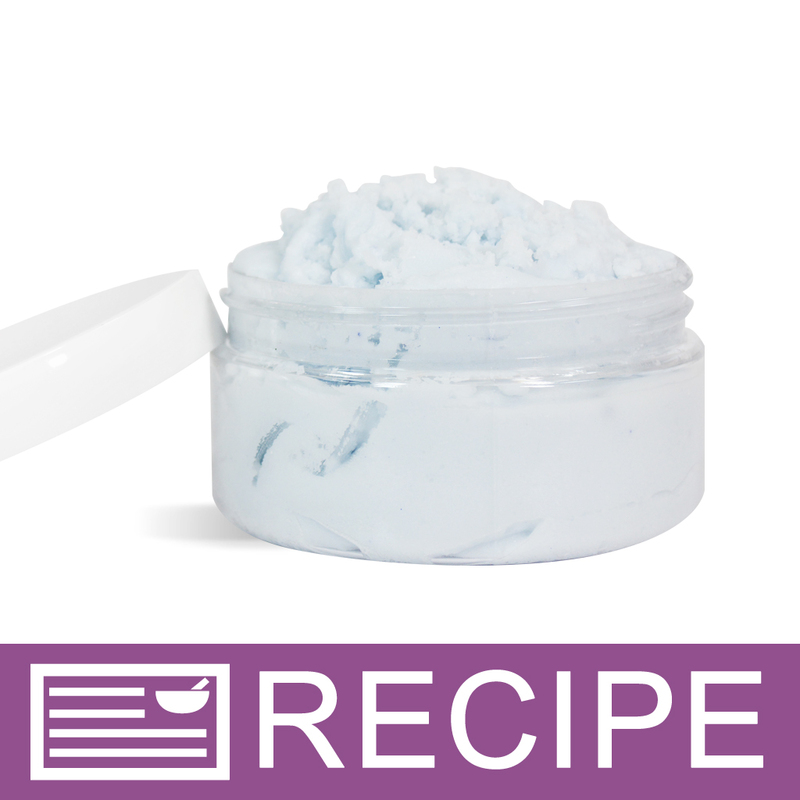 "Can I use Phenonip in sugar scrub that contains Dr. Bronner's castile soap, shea butter and additional carrier oils? If not, what would you suggest as an alternative? Thanks!" Staff Answer This preservative is recommended for oil based scrubs so should be fine to use in your product. "Can this be used in a hair conditioner?" Staff Answer This preservative is good for oil based products. If you are looking for a preservative for a water based product (hair conditioner) we recommend Germaben II. "I AM MAKING SALT AND/OR SUGAR SCRUBS W/VARIOUS CARRIER OILS(ALMOND,JOJOBA,COCONUT,OLIVE AND ALSO FO/EO, I AM INCLUDING EITHER WHEAT GERM OR VITAMIN E IN ALL. IS IT STILL NECESSSARY TO INCLUDE A PRESERVATIVE LIKE PHENONIP OR OTHERS?" Staff Answer Hi Felicia,Preservatives are needed in any product that has water in it to prevent bacteria and mold from growing in it. Technically, no. Most sugar and salt scrubs do not contain water. When there’s no water in the product then you do not need to add a preservative. However,they are stored and used in the shower where water may be introduced, which could potentially start mold growth. We would suggest to add a preservative to your scrubs to prevent mold but ultimately it is up to you. "Can this be used for Homemade baby wipes?" Yes, Phenonip would work great for your handmade baby wipes! The acceptable pH levels are between 3-8 which is in line with your product. "I am wanting to make a sugar scrub using a shea butter and aloe base, can Phenonip be used for that? Also can it be used with Epson salt and fragrance oil?" Staff Answer Hi Stephani - Yes, Phenonip can be used to preserve a Shea butter and aloe sugar scrub as long as this scrub is for the body. It cannot be used for a lip scrub. If you are making bath salts with just fragrance added, there is no need for a preservative. However, if you are making a salt scrub you would need a preservative and this one will work. 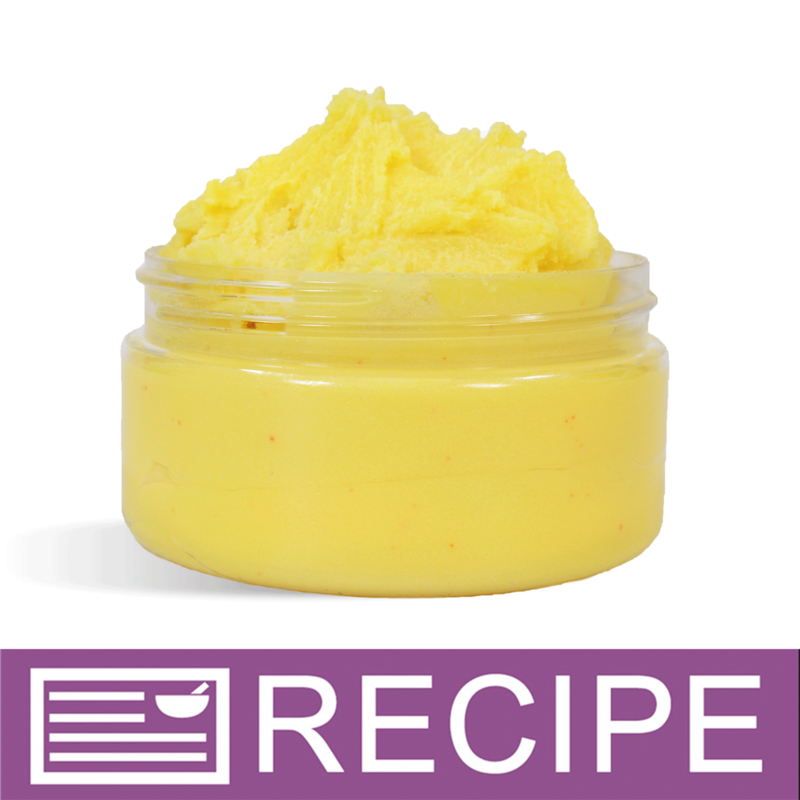 "I am working on a formulation for a mango and hemp butter scrub. I would like to include coconut milk powder and/or goat milk powder and was wondering if phenohip would be the appropriate preservative. Also, would it also be suitable if I included fruit and/or herb powders. Thanks! " Staff Answer Yes, this will work. Phenonip is recommended for use in oil or butter based scrubs. "Hi my question is does phenonip contain formaldehyde?" Staff Answer Phenonip does not contain formaldehyde nor does it any formaldehyde donors. "Hi im planning on making facial mask with extracts, fruits, milk proteins etc. 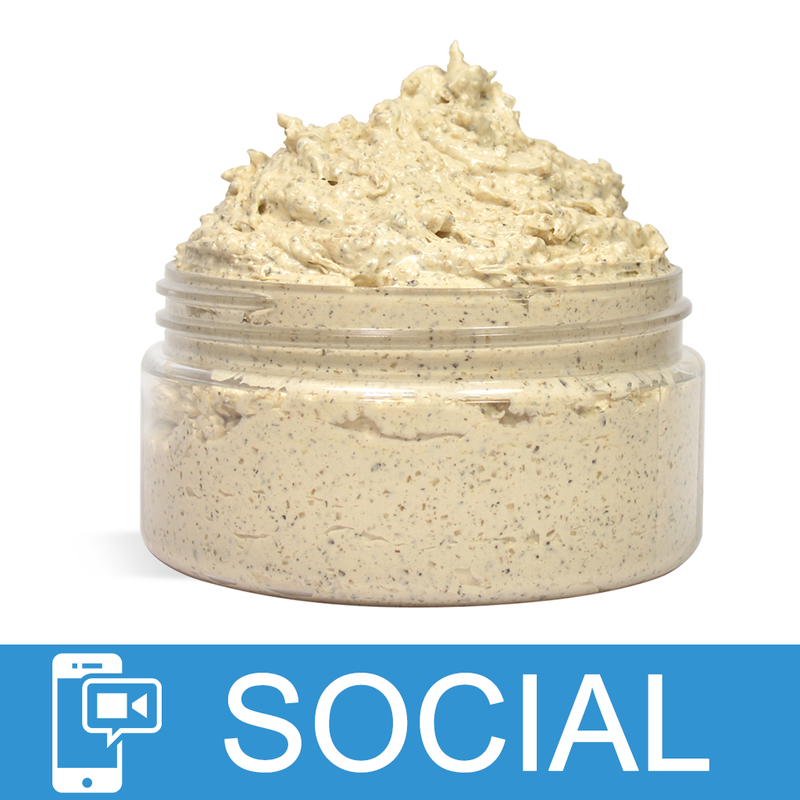 What preservative would you recommend and how for how long does it keep facial mask from going bad?" Staff Answer The preservatives we supply are meant to preserve oil and water based products from bacteria, mold and fungal growth. Products containing fruit would not be protected. 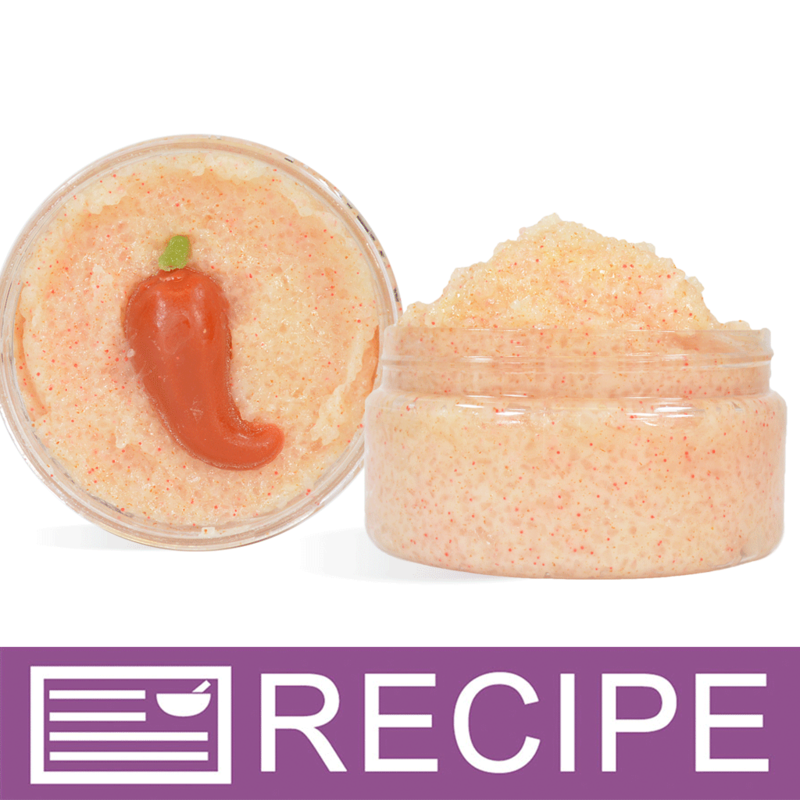 "I am new to the emulsifying sugar scrub making just wondering how to calculate preservative in 8 oz scrub base. If I am going with .5% then would it be .04(8*.005) When the recipe says total amount do you account for sugar too in the total amount? Or just the base which will be 8 oz for me." Staff Answer Your math is correct. You would use .04oz for 8oz of scrub base. The yield for each recipe is the total batch size which would include the sugar for a scrub recipe. 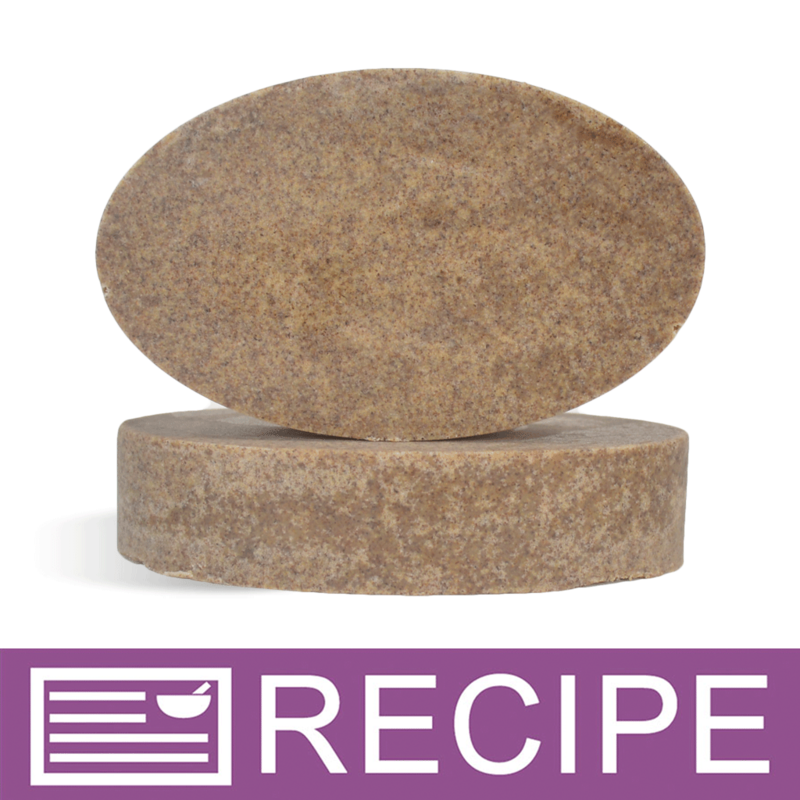 "I would like to know if this product is suitable for homemade goats milk lotion and the amount I should use. I used Germall Plus without success as mold grew in the lotion. I ultra pasturize fresh goats milk from my own goats so it is good. I bleached everything and have made several batches with the same results. Within 1 month mold was growing in the lotion with the Germall Plus used at .05% concentration. Please help!! what can I use? " Staff Answer Yes, you can use Phenonip in your homemade lotions. The directions state - For Lotions – Must Add to Oils Prior to Emulsion. This should be used at .5-1%. "I just ordered your Salt Scrub Kit-Shea Butter + Pink Grapefruit and Phenonip to include in the 4 oz scrubs. How much should I use of phenonip when making the kit?" "I want to make lip scrub and body scrubs with oils and sugar, should I use this or Germaben II E. Can the Germaben II E be used in oils? because I saw this is not ok for lips." Germaben II E can be used in oil products, such as scrubs. It cannot be used on the lips. Phenonip can be used for all-oil products, but cannot be used on the lips. I would leave the lip scrub preservative free. If you really want to preserve it you'll need to use a food grade preservative. "Whats the highest percent of oil in a recipe this can be used for? Is it only for recipes with 20 percent or less? Or does it cover lower than 20 percent and also over 20 percent?" Staff Answer This is insoluble in water, and only for oil based formulas. There is no restriction on the percentage of oils, but if it is used in lotions you should add it to your oils prior to emulsion. I have been using this with much success to preserve my lotions which are 75% water. It's probably better to add to the oil phase but make sure to use enough to preserve the entire lotion. I usually add it during emulsification and I've never had any problems with separation. "Can I use Phenonip for hair conditioner/mask or I have to use Germaben II? " Staff Answer Phenonip is an oil soluble preservative, so you may use it in a hair/conditioner mask as long as you do so during the oil-phase. "Is this ok to use in melt and pour to preserve my fresh ingredients? " Staff Answer Phenonip is insoluble in water, so this will likely not work in MP Soap. "Do you have an all natural substitute for Phenonip?" Staff Answer Unfortunately, we do not carry an all natural preservative. Phenonip is an oil-based preservative and the only other substitute we carry at this time is Germaben II E.